Inside the earth: Will Chinese Renminbi (RMB) replace Dollar in International trade? 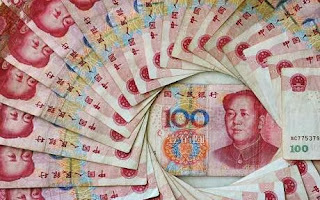 Will Chinese Renminbi (RMB) replace Dollar in International trade? China with its emerging economy is all set to put a challenge to the so far undisputed place of US dollars in international trade. China consumes about half of the base metals produced in the world. It buys almost 42% of the total copper produced in the world and about one billion metric tons of iron too. Recently China became the largest importer of oil in the world and all set to pass the record of India as the largest importer of gold. In such a condition nobody will get surprised if the Chinese RMB got approval as the currency for international trade. This currency is being used as a settlement currency in Australia and this practice has been increased in the near past. According to HSBC, RMB will become the third largest unit used for trade by 2015. Although China had to suffer severely during the treasury shutdown in US as it was the major holder of US treasury bonds, it could recover from the fall very fast. Now, China is one of the most sought after manufacturing hubs in the world. With cheap labor and availability of raw materials China attracts manufacturers from world over to its soil to start units. Excellent infrastructure and comparatively well maintained public disciple are the other two factors which turn the decision in favor of China when the question is about to start a manufacturing unit. After making their domestic economy stable now the dragons are all set to conquer the world of business with RMB. A recent commentary in China’s state media is considered as a sign of this. During treasury shutdowns in US, media in China called for a de-Americanised world where small and big countries will have their key interested protected and will get an equal treatment. When we go by the history of China, it is proven that they have achieved almost everything they aspired for. If the history has to repeat once again, we can see Chinese Renminbi (RMB) in the place of US dollars very soon.